Our parrots love all the porcupine toys! There is something so enticing about those little "quills" that they like to pull out. We have a cockatoo that will pull those out, one at a time, and every once in awhile, she hollers "OUCH" when she does it. Makes us laugh! These are perfect for sliding onto ParroStix to make an interesting foot toy or use your imagination, other parts and make your own toys. 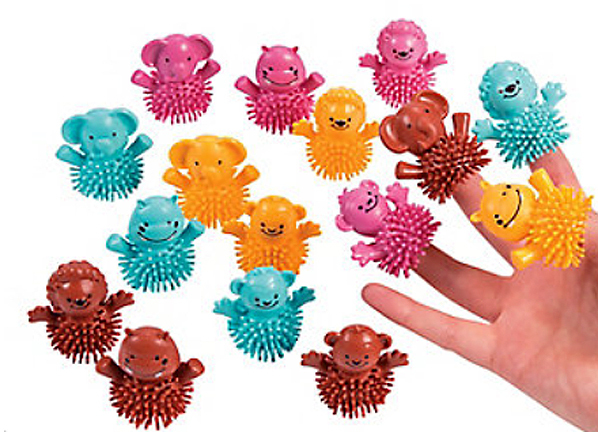 There is so many ways to use them to add fun to your avian entertainment selection of toys!